Austrian helmer Nikolaus Geyrhalter has been widely known for his experimental, minimalistic and without music or commentary documentaries that are always dealing with important social issues both in his homeland and abroad. 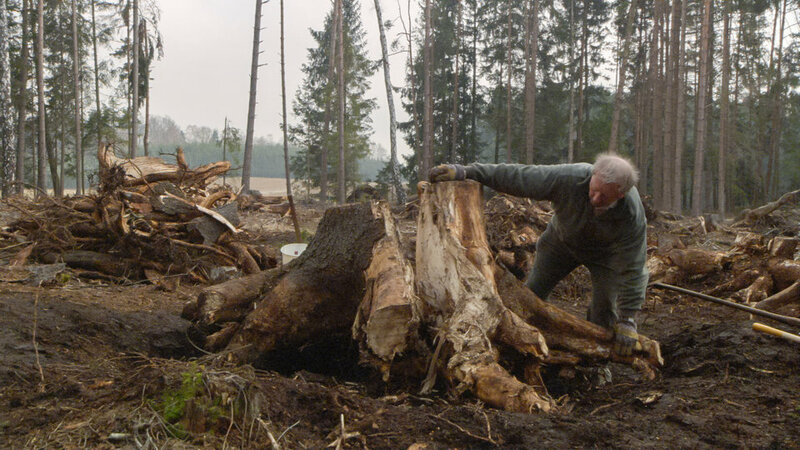 Better known for his previous acclaimed work including the ethnographic documentary Elsewhere (2001) and the experimental eco-doc Unser Täglich Brot (Our Daily Bread, 2005), Geyrhalter finally delivers his magnum opus. 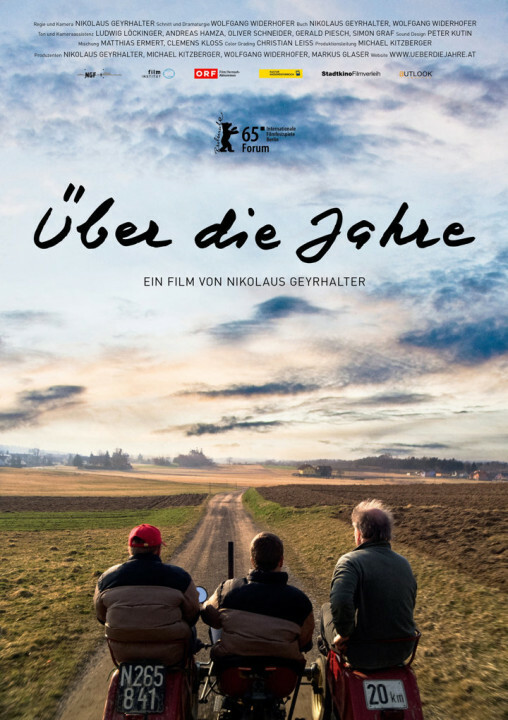 Über die Jahre (Over the Years) is a documentary that started in 2004 and took over 10 years to be completed. This is probably Geyrhalter biggest bet so far since he pushes his austere and consistent lens to the boundaries. Over the Years participates at the Documentary Competition section of the 21st Sarajevo Film Festival and had its world premiere during the Forum section of the 65th Berlin Film Festival. In 2003, Geyrhalter gets informed about a textile factory that exists for over a century and where everything is still produced in the most traditional way. The factory is situated in Waldviertel, a rural region which is close to the borders with Czech Republic. The owner and several randomly selected people who work there are being interviewed by the director. The main questions asked are about their work in the factory, their everyday lives, and if they are satisfied with what they are doing. Things are getting harder and harder as factory’s archaic way of production doesn’t satisfy any more the market’s needs. Unfortunately, the factory must fill bankrupt and everyone now is unemployed. Geyrhalter will continue to visit the same people for the next ten years asking them almost the same questions while observing the changes in their lives. Over the Years is undoubtedly an extremely challenging project to start with. As it is already assumed, documentary is a medium that doesn’t really allow any accurate scheduling on the events, especially when everything is based exclusively on different personal stories. So to keep up with that for ten years and to expect a visually interesting result is really Geyrhalter’s achievement. Inevitably there would be some comparisons with Richard Linklater’s Boyhood – which was also shot for over 10 years – but it would be complete unfair to parallelize a fiction film with a documentary where actual life happens. Certainly Over the Years is not the most visually appealing film, since it is consisted of numerous talking heads that describe on camera their lives. But there lies the importance of this documentary. Each individual character is being developed in a complete autonomous and unique way, their decisions, their ideas and their acts cannot affect anyone else but themselves. That creates a unique relationship where the viewer can feel attached with them or simply curious, without priory know if and how each one of these real-life heroes will continue to exist till the end of the story. That uncertainty of existence is also the main idea behind Over the Years. What started as a human curiosity towards a post-industrial world that slowly dies and is disappearing, evolves to something bigger and unknown. As the market drove to extinction a historic textile business and all the people that were related to it, how this could affect other so-called little lives and each individual microcosmoses that currently feel safe and secure? When you have the impression that by standing still in a small Austrian village, then you can become unnoticed and immune, someone else could literally change your mind and your life. What becomes even more surprising are the feelings that this procedure creates to the viewers. By watching something so extremely natural such as the expected evolution of some people’s lives in a certain period of time becomes challenging as the unforeseen events capture the attention. There’s exactly where the irony lies since these “shocking” new facts are just elements of the real life. Nikolaus Geyrhalter succeeds to reach his observational “fetish” in the highest level and it is fair to presume that this was his most difficult work so far. Without doubt the seeming single-issue subject in combination with the over three-hour duration wouldn’t make the documentary as attractive as it should be. This is an easy initial misunderstanding, as Over the Years is not that demanding or difficult to follow since it needs just our emotions to feel the power that something so epically “simple” could hide.